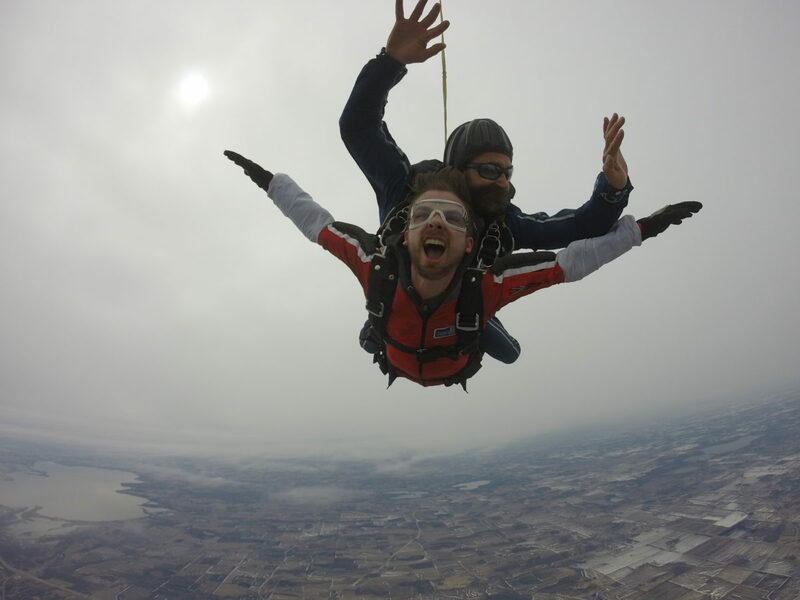 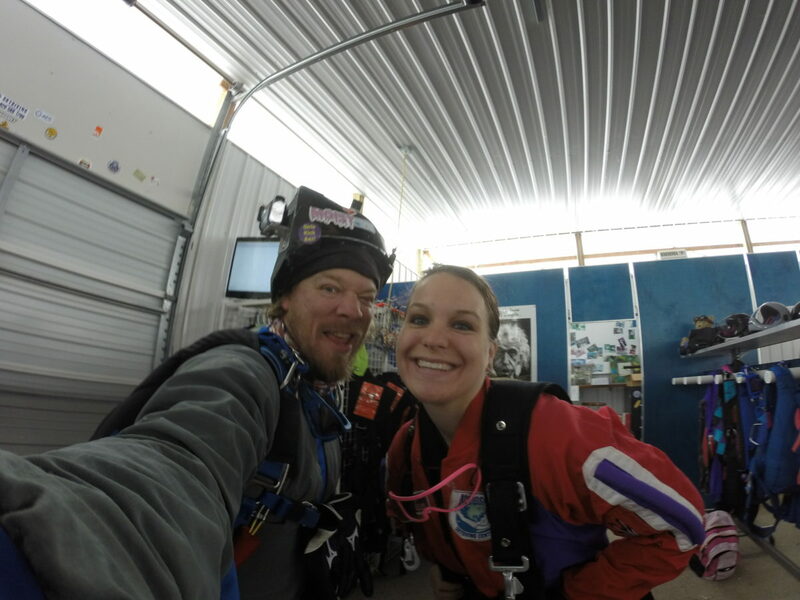 The skydiving season has finally started! 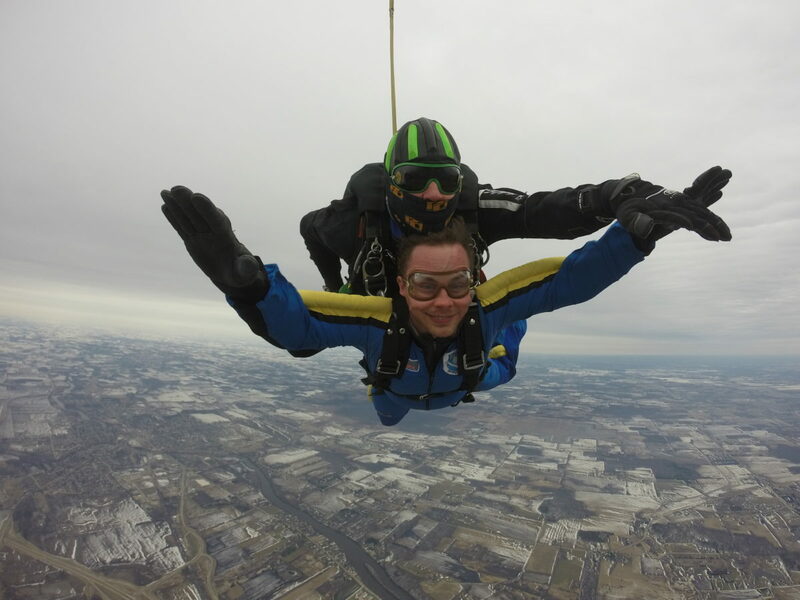 The snow hadn’t quite melted, but the atmosphere was warm enough to enjoy some air time! 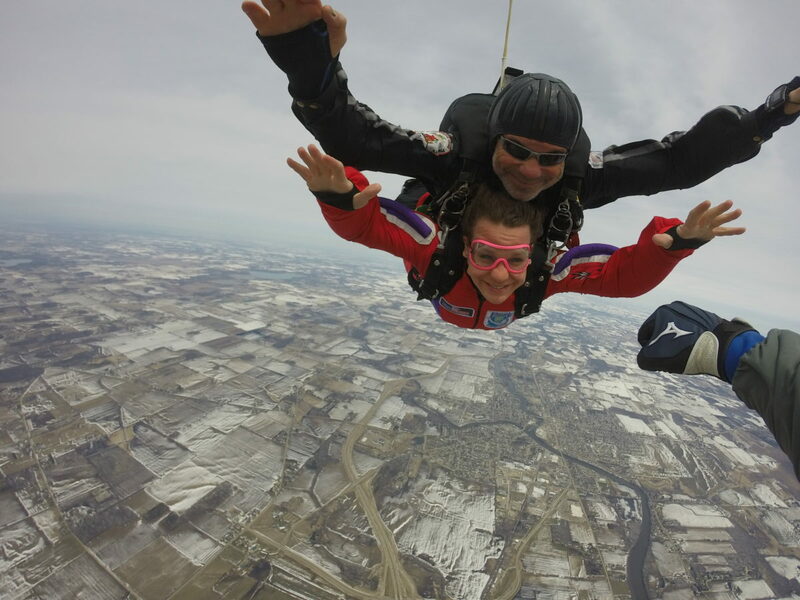 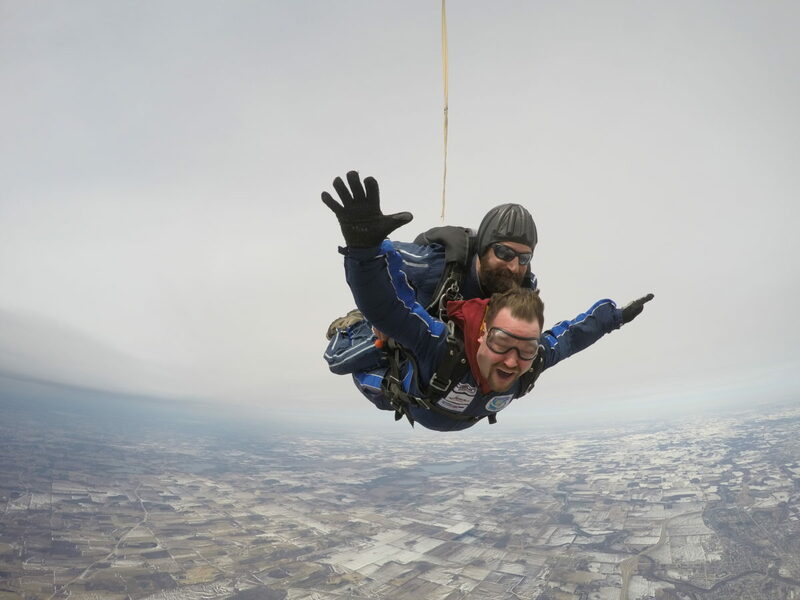 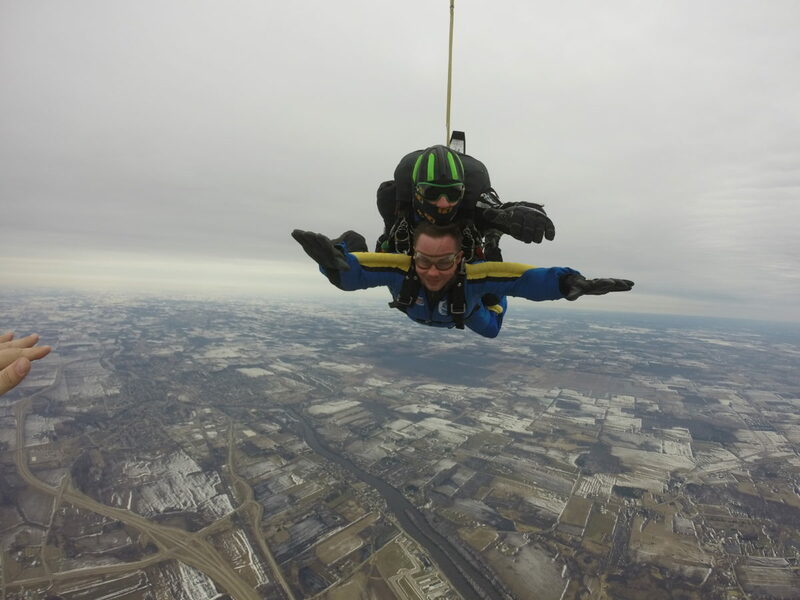 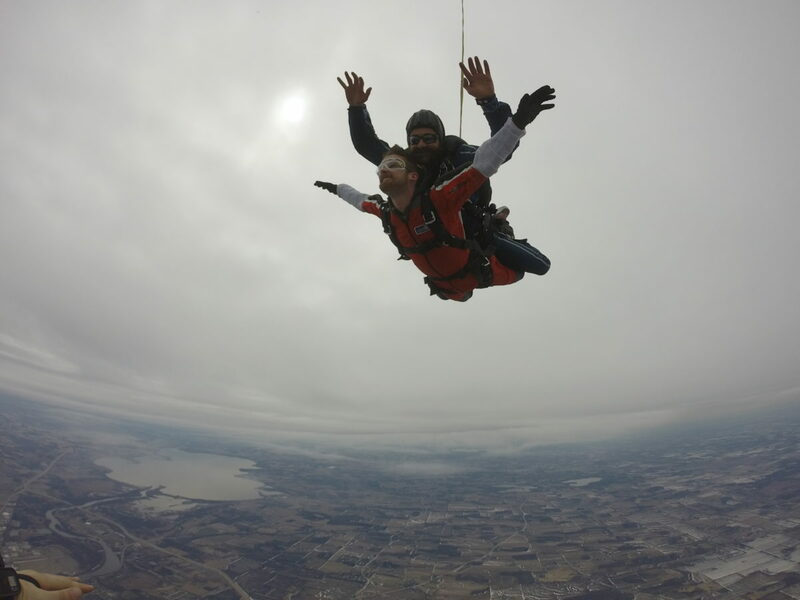 We were excited to welcome the start of the 2018 skydiving season and the beginning of our 20th year in business. 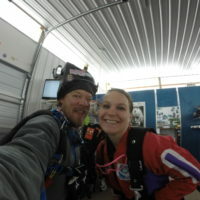 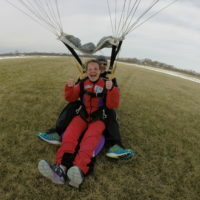 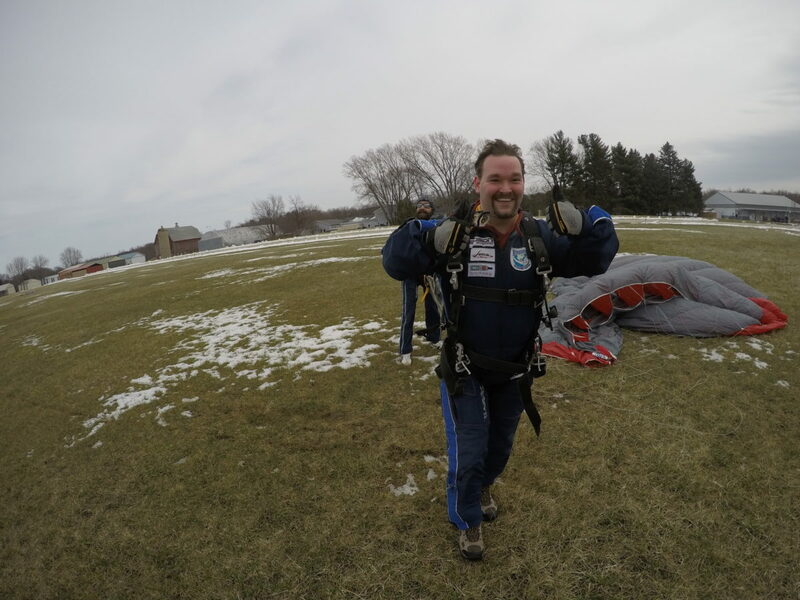 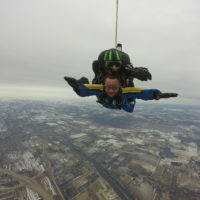 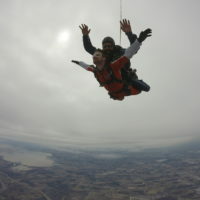 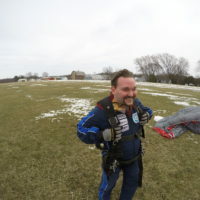 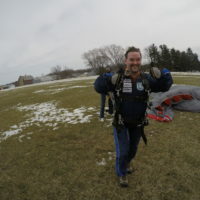 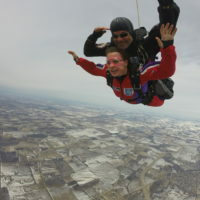 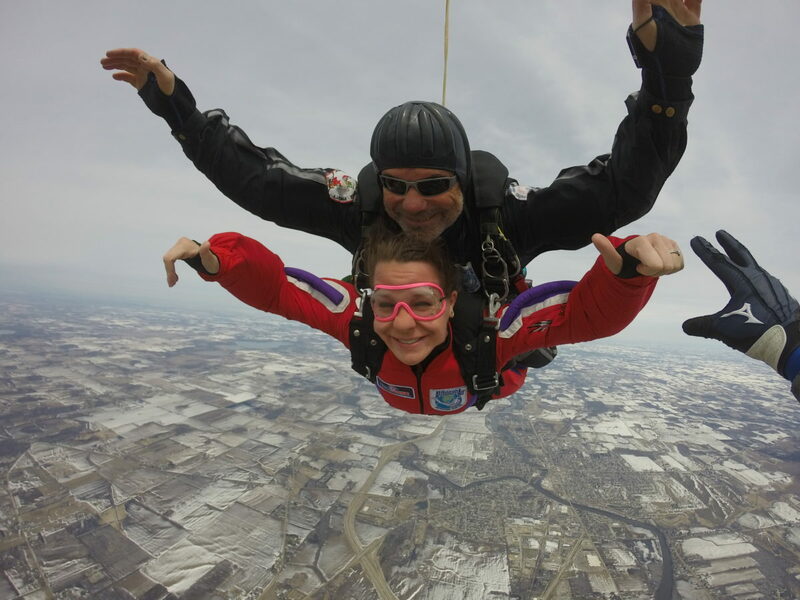 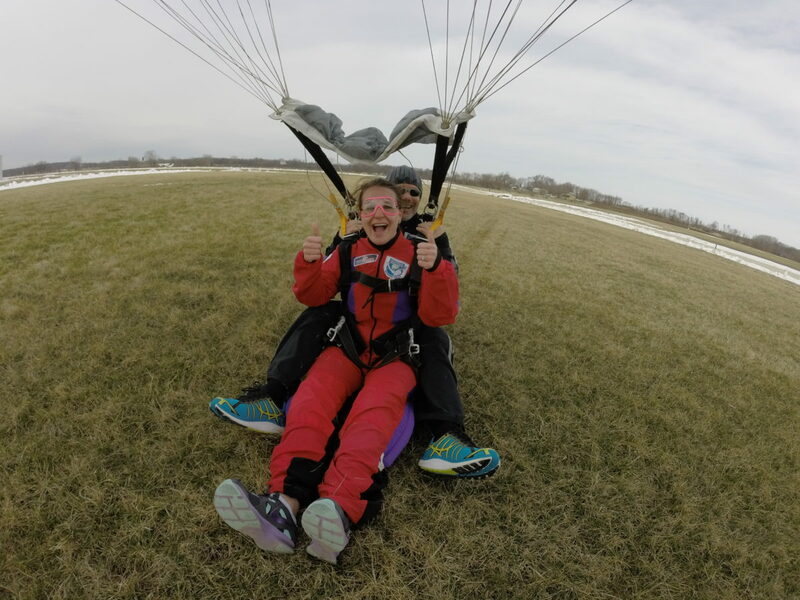 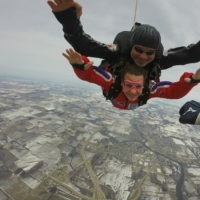 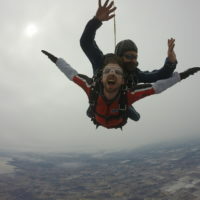 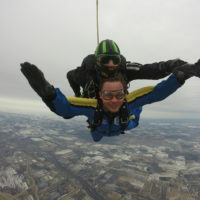 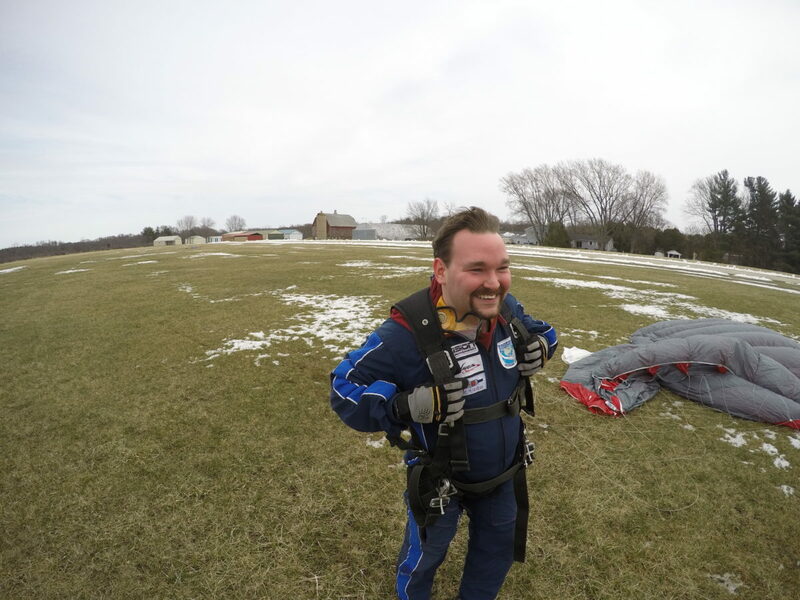 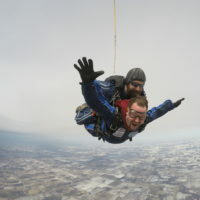 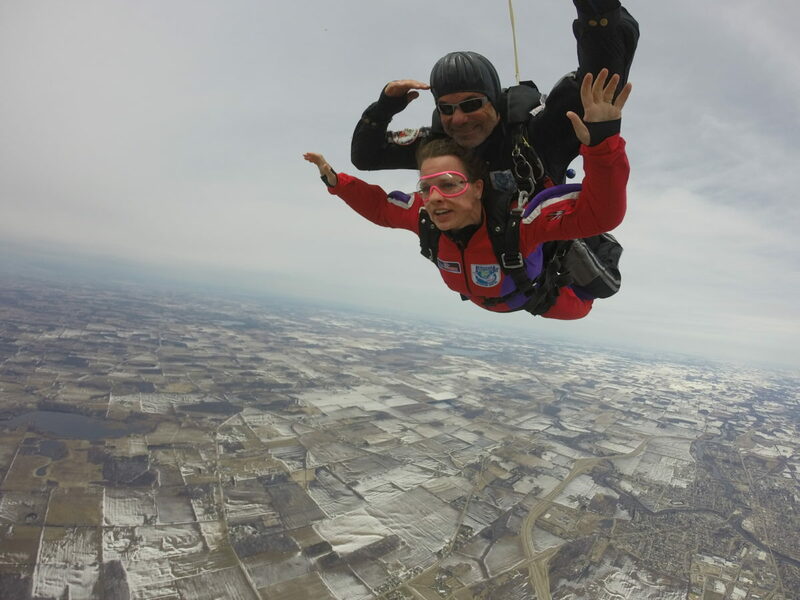 A tandem student in a blue jumpsuit smiles while skydiving.